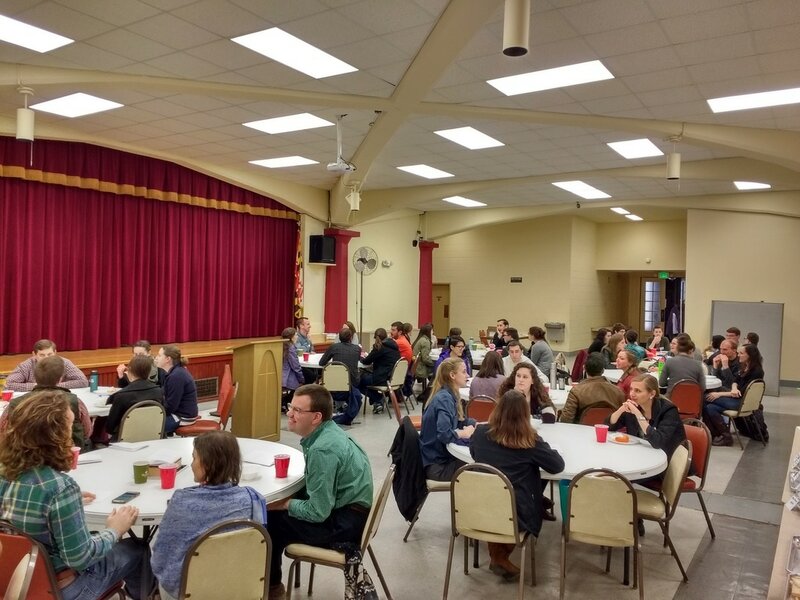 Thanks to the 50+ attendees who joined us for our retreat! Keep in touch on Facebook, via email, and on our website for updates on next year's retreat. Please join us for our Lent day retreat focused on sacrifice and desire, led by Fr. Athanasius Murphy, OP. Refocus your heart on our Lord and enter into the mystery of Lent with other young adults. We will have Mass, adoration, confession, guided meditations and talks. Light breakfast and lunch will be provided. To cover the cost of food, a $10 donation is suggested. The retreat will begin with Mass in the main Church, and will proceed to the Parish Hall (the Church basement) after Mass. ​Who is this retreat for? Young adults in their 20's and 30's. You do not need to be a member of Frassati to attend. We will be providing a light simple breakfast and basic lunch (probably sandwiches). If you have food allergies or dietary restrictions, we recommend bringing along a bag lunch. Registration is not required, but we ask you to fill out the RSVP form at the bottom of this page so we can get a headcount for food. It is free! A $10 donation is suggested to cover the cost of food. You may bring cash to the retreat, or you can donate online using the link below. If you'd prefer to donate online instead of bringing cash, feel free to donate here.